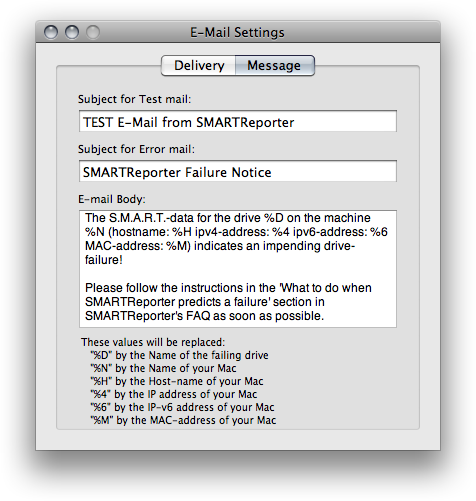 SMARTReporter Lite is a free application for Mac OS X that can warn you of some hard disk drive failures before they actually happen! 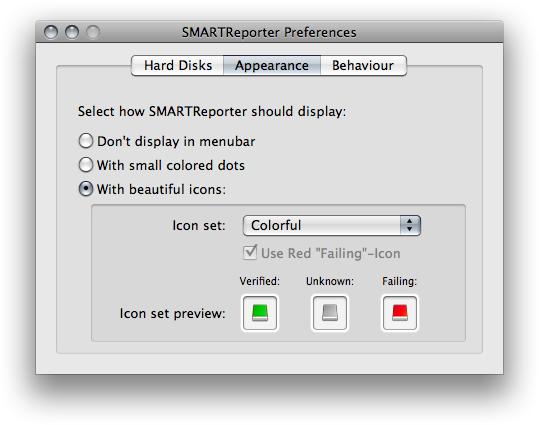 It does so by periodically polling the S.M.A.R.T. status of your hard disk drive. S.M.A.R.T. (Self-Monitoring Analysis and Reporting Technology) is a technology built into most modern hard disk drives that acts as an "early warning system" for pending hard disk drive problems. 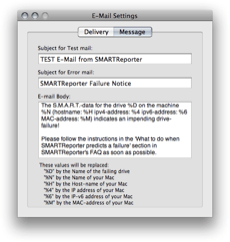 SMARTReporter can notify you of impending hard disk drive failures by sending e-mails, displaying a warning dialog or executing an application. 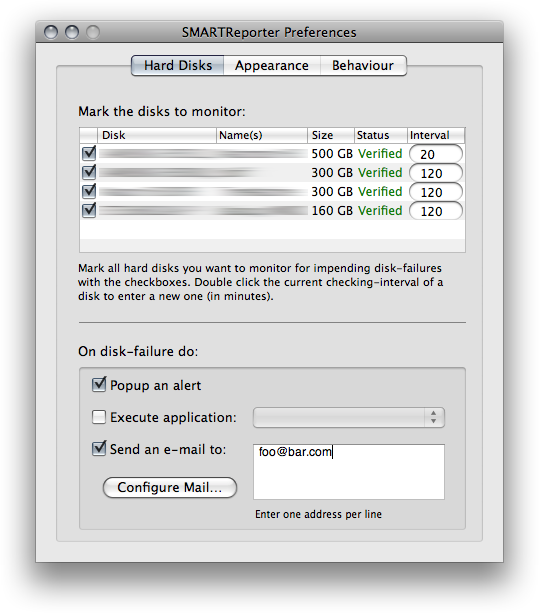 The current status of your hard disk drives is always displayed through the customizable menu item. Because SMARTReporter relies on the S.M.A.R.T. 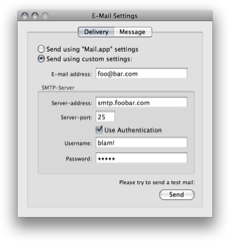 implementation of Mac OS X, it only supports ATA, SATA or eSATA hard disk drives, if you want S.M.A.R.T. support for your SCSI or FireWire hard disk drive, send feedback to Apple. 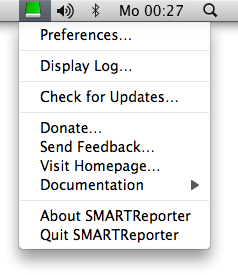 Please note that a S.M.A.R.T. alert doesn't mean that your HDD will completely fail for sure, nor can S.M.A.R.T. 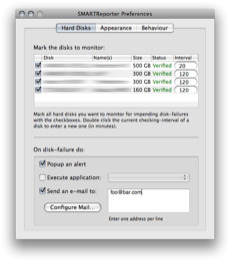 catch all possible HDD errors - it's just a very valuable indicator. Follow this link for more information about S.M.A.R.T. technology. 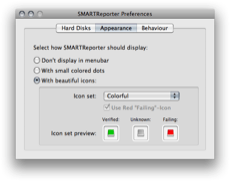 SMARTReporter Lite is completely free of charge and the source code is licensed under the Open Source "MIT License". 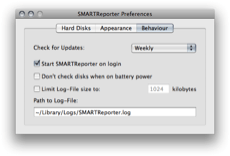 SMARTReporter Lite has been discontinued since 2012 and is completely unsupported. 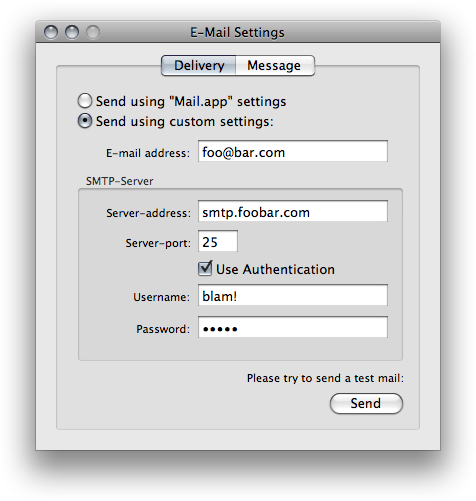 Consider upgrading to the much-improved version 3.0 for many new features and support.